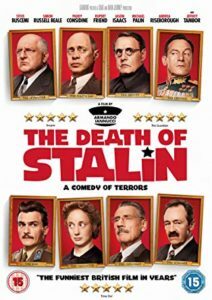 One of the most unique films I’ve seen in a long time is Armando Iannucci’s The Death of Stalin. Fans of the horribly absurd (or the absurdly horrible) will find themselves cringing while laughing through this warped historical comedy. Nikita Kruschev (Steve Buscemi) and Lavrentiy Beria (Simon Russell Beale) jockey for the top Soviet position after the 1953 death of Joseph Stalin. Jeffery Tambor sweats up a storm as Georgy Malenkov, Stalin’s nervous-wreck of a second-in-command. With each member of the Soviet politico watching over his shoulder for the other, this satire bites down hard on the realities of tyranny, cruelty, power, and fear. Given the truth underlying the farce, it sometimes felt wrong to laugh, but I found it impossible not to. This dark comedy will make you think and stays with you long after it ends. This entry was posted in Kathy and tagged comedy, movie on September 7, 2018 by jamiea. 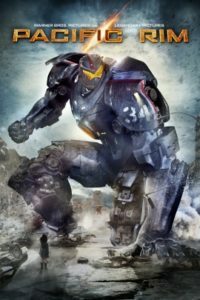 In Pacific Rim, we’re introduced to a world plagued by monsters called “kaiju,” which are breaking through a dimensional rift and seem intent on destroying all life on Earth. The world’s militaries have found the only logical way to fight back against the kaiju: giant robots (“jaegers”). Former jaeger pilot Raleigh (Charlie Hunnam) is called out of retirement to help in the war and gets teamed up with a young recruit, Mako Mori (Rinko Kinkuchi), the adoptive daughter of the Marshal, Stacker Pentecost (Idris Elba). The two are able to mentally bond through a process called “drifting,” which is required to operate a jaeger. Meanwhile, two scientists Newton Geiszler (Charlie Day) and Hermann Gottlieb (Burn Gorman) study the kaijus and find a way to drift with a kaiju brain, giving them inside information on the coming attacks. Battles ensue as the humans fight for the fate of their planet and try to close the rift. Come back next month for my review of the sequel, Pacific Rim Uprising. This entry was posted in Jez and tagged adventure, drama, movie on August 31, 2018 by jamiea. A beautiful animated film wrapped up in the traditions and folklore of Mexico’s Dia de los Muertes (Day of the Dead). Twelve-year-old Miguel wants to be a musician, but his family has banned music from their lives for several generations. Intent on pursuing his dream, his ends up in The Land of the Dead on Dia de los Muertes to find his great-great-grandfather who was a famous musician. Miguel not only discovers his family’s real history but also finds out the importance of family in his life. 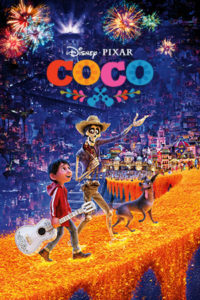 Coco won the Academy Award for Best Animated Feature Film and Best Original Song (for “Remember Me”). Check out the soundtrack on CD and on Hoopla. This entry was posted in Mary K. and tagged adventure, animated, comedy, kids on August 24, 2018 by jamiea. Maddy has severe combined immunodeficiency (SCID)—and that means she has lived her entire life in her house. She spends her time writing blogs, playing Scrabble games with her mom, and taking classes online. But all of that changes when a new neighbor named Olly moves in next door, and Maddy starts to be drawn to the outside world. 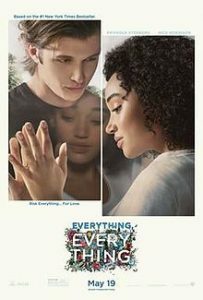 I thought that Everything, Everything, the movie adaptation of Nicola Yoon’s teen novel was done really well. The film stars teen movie veterans Amandla Stenberg (The Hunger Games) and Nick Robinson (The 5th Wave; Love, Simon) and their chemistry carries the story. I was concerned that since so much of the story is told through texts and emails that the movie wouldn’t work as well, but the director and crew found great ways to work around that aspect of the book. While I enjoyed this movie and the book, you should be aware that the portrayal of SCID isn’t factually accurate. This article, written in Variety, explains this in more detail. However, don’t read it until you’ve seen the movie since it does contain spoilers. If you have enjoyed the book or movie of Everything, Everything, make sure to read Yoon’s other book, The Sun Is Also a Star. This entry was posted in Katie and tagged drama, romance on August 17, 2018 by jamiea. Guillermo del Toro and Vanessa Taylor’s masterpiece is as beautiful as it is heart-wrenching. The cinematography is matched only by Alexandre Desplat’s score that captures and enhances the emotions in each scene. Elisa (Sally Hawkins), who has been mute since she was a baby, works as a janitor at a top-secret government research facility; there, she encounters something that changes the course of her life. At its core, The Shape of Water is a story that questions just what is it that makes us human. 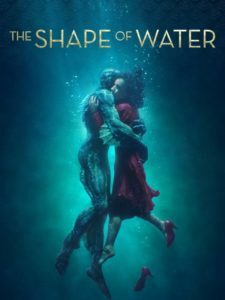 The Shape of Water won four Oscars (Best Picture, Best Director, Original Score, and Production Design) and was nominated in nine other categories. This entry was posted in Ashe and tagged drama, fantasy, movie on August 10, 2018 by jamiea. 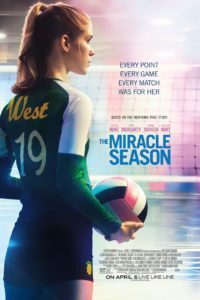 Based on true story, The Miracle Season covers the 2011 Iowa City West High School women’s volleyball team and how they battled back from adversity after losing their team captain, vivacious and effervescent Caroline “Line” Found (Danika Yarosh) in an unfortunate accident. Coach Kathy Bresnahan (Helen Hunt) tags senior Kelly Flieher (Erin Moriarty), who was Line’s best friend since childhood, with leading the team after the loss of Line. Flieher battles her own doubts about her abilities to step into Line’s shoes as a setter, and lead the team to a consecutive state title, which they had won the previous year. William Hurt turns in a strong performance (one of the best of the movie), as Line’s father, Dr. Ernie Found. Kelly is like a daughter to him, and he and she turn to each other and draw strength from each other, he grieving the loss of his daughter and wife and she looking for support because she is taking Line’s place on the volleyball court. Overall, this was a good, not great, sports movie. I can’t think of any movies that have been made with volleyball as the featured sport, so this film helps to fill that hole. Like most inspirational sports movies, this one tugs at the heartstrings, so if you get emotional do have a box of tissues ready. You are going to need them. This entry was posted in Tony and tagged drama, movie, sports on August 3, 2018 by jamiea. With an overabundance of superhero films, especially in the Marvel Cinematic Universe, it can be easy to assume if you’ve seen some, you’ve seen them all. Thor: Ragnarok is the movie that can fix all that. Infused with humor, side eye, and some tongue-in-cheek references, the third Thor movie is a breath of fresh air that is enjoyable for all viewers, not just those deep in Marvel lore. This film can even be watched reasonably easily without having seen the two previous movies or any of the Avengers tie-ins. 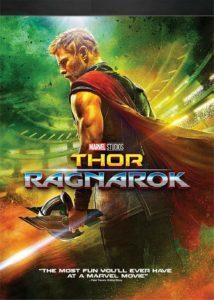 20 and 30-something adults can join us for a free viewing of Thor: Ragnarok on Friday, August 3rd at 6:30 p.m. as part of our #LibSocial Popcorn & Pop Culture series. We’ll laugh along to the jokes and admire Jeff Goldblum at his most Goldblum while munching on snacks and meeting new friends. For more information, visit http://libsocial.ippl.info or follow us on Meetup. This entry was posted in Jez and tagged adventure, movie, sci-fi on July 27, 2018 by jamiea. Charlie Lang (Nicholas Cage) is a New York cop who doesn’t have enough money for a tip. 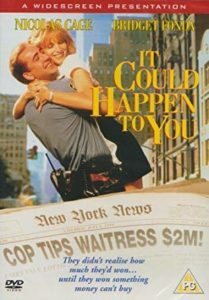 Yvonne Biasi (Bridget Fonda) is a waitress who can’t catch a break. And yet when a cop offers her the choice of a regular tip or half of the winnings of a lottery ticket, she ends up with $2 million. It Could Happen to You is a delightful feel-good romantic comedy. In the mood for other rom coms? Check out our list. This entry was posted in Jennifer and tagged comedy, movie, romance on July 20, 2018 by jamiea. 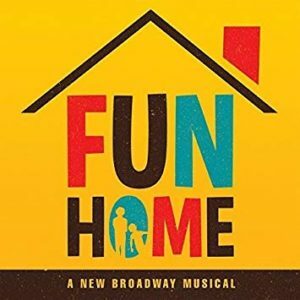 Check out the soundtrack to Fun Home, the 2015 Tony Award-winning Best Musical based off the graphic novel memoir by Alison Bechdel. It tells the story of Alison’s experiences growing up with her family, in college, and as a 43-year-old adult. The musical uses three different actors to play Alison. The music ranges from funny and humorous to poignant as it conveys all three viewpoints of Alison. My favorite song is the anthem “Ring of Keys” when young Alison realizes that she recognizes herself in an older lesbian. I definitely recommend reading the graphic novel memoir, as well as getting some insight into the musical since not every scene is on the CD. You can do that by listening to the podcast Broadway Backstory or investigating the musical’s website. Recommended for fans of RENT, In the Heights, and Spring Awakening. This entry was posted in Katie and tagged music, musical, soundtrack on July 13, 2018 by jamiea. Ah, the idyllic English countryside. There’s nothing more peaceful—or is there? Lurking beneath the surface, there may be a murderer among us. Sweet and kindly grandmothers, cherubic children, your next-door neighbor Bob—no one is safe from suspicion. 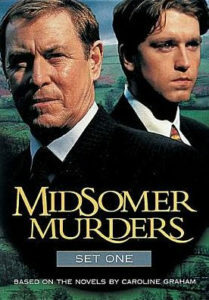 It’s up to Detective Chief Inspector Barnaby and his faithful Detective Sergeant to put the pieces together before someone else meets their untimely demise in the long-running British TV series Midsomer Murders. This entry was posted in Ashe and tagged drama, mystery, tv show on July 6, 2018 by jamiea.